Carolyn counsels clients in all areas of labor and employment including employee hiring and termination, employment agreements, personnel policies, harassment, workplace investigations, discrimination, wage/hour issues, ADA, FMLA, NLRA, EEOC, and workers’ compensation. She has amassed a successful track record helping companies in the healthcare, hospitality, and education industries troubleshoot employee crises and conduct thorough human resource investigations. Her passion for employer-side legal issues and seasoned investigative instincts have helped make her an invaluable asset for companies needing litigation or negotiation assistance. Since she started practicing law in 2009, Carolyn has developed extensive experience with helping employers resolve not only employee-related litigation matters, but also with negotiations and background checks. She regularly provides advice and help on topics as varied as workplace safety and health, FMLA, ADA, trade secrets, municipal law, workers’ compensation, non-compete agreements, and class action claims. Her hands-on experience with resolving employee and human resources issues, along with her sharp legal instincts and investigative skills, allow Carolyn to provide effective counsel during trials, mediation, agency proceedings and depositions. In addition, Carolyn advises both higher and secondary education clients on public law matters. She has experience in compliance areas including, Title IX, FERPA, ADA/Section 504, Clery Act, VAWA and the DFSCA. Carolyn has successfully assisted with the implementation of student processes and procedures, trained Title IX investigators and assisted clients with education audits. Carolyn is passionate about a number of causes in the Columbus community. She strongly advocates for women’s rights and career advancement interests through her work with the United Way of Central Ohio’s Women’s Leadership Council, the Ohio Women’s Bar Association board of directors and through her strong support of the sciences as a member of the Center of Science and Industry (COSI)’s Young Professional Board. She was also named a member of the Ohio Women’s Bar Foundation’s Leadership Institute Class of 2016-17. 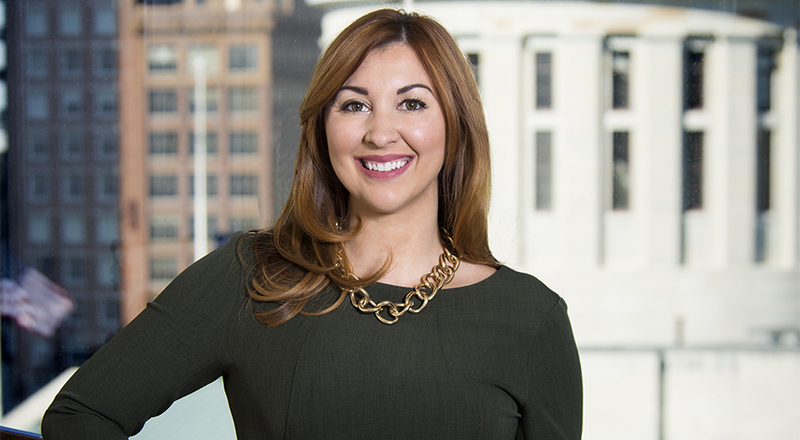 Carolyn’s legal accomplishments and dedicated community involvement have earned her recognition by Ohio Super Lawyers as a Rising Star for five consecutive years. Carolyn received her J.D. and Bachelor’s degree from Case Western Reserve University. What Does an “Individualized Assessment” Look Like When the Student is a Threat to Self?